When Thuvia, Princess of Ptarth, is abducted, blame is cast upon Carthoris, son of John Carter the Warlord of Mars. But both are innocent victims of the sinister Prince Astok of Dusar, whose lust for Thuvia brings all of Mars to the brink of war. 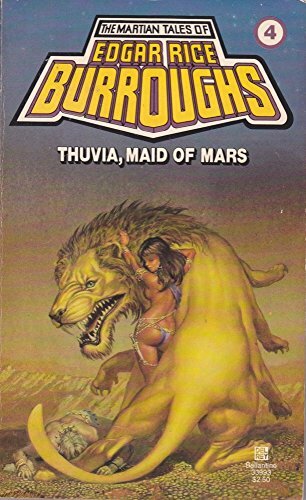 One of the most profound early influences on the science fiction and fantasy genre, Edgar Rice Burroughs is now most famous for his Tarzan series, although he wrote many tales that have captured the imaginations of generations of readers, including the Martian adventures of the Barsoom sequence, of which this book is the fourth, the Pellucidar sequence, and the stories of Carson on Venus.